Every single drop of Elyx is made from winter wheat from the Råbelöf Estate in the Skåne area in Southern Sweden, that has been growing wheat for over 400 years, distilled using traditional methods in a copper column still. 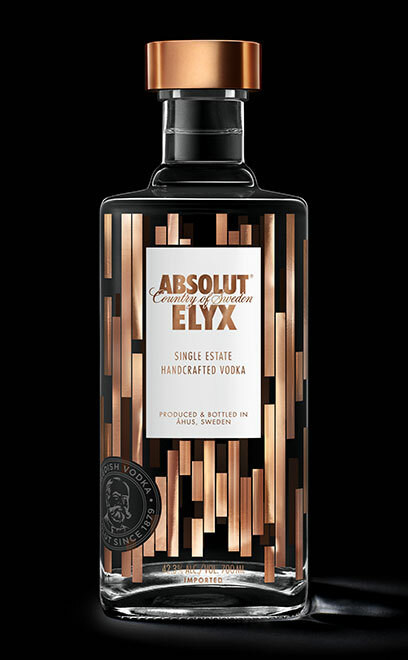 This, together with the purest water, gives Absolut Elyx the elegant, sophisticated character and luscious mouthfeel, which many call liquid silk. Absolut Elyx is often enjoyed on the rocks, or with a whisper of dry vermouth in a classic Martini. I WANT UPDATES FROM ABSOLUT ELYX - EVENTS, ART COLLABORATIONS, DRINKS AND MUCH MORE.